We hope that you find the following list of links to legal resources most useful and informative. Please remember that our free Legal Enquiry Service is available 24 hours, 7 days a week. 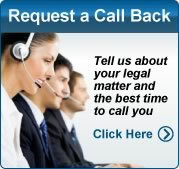 To request legal help with your legal matter, please complete your free legal enquiry form. 2)	Tasmania links to legal resources. 3)	Queensland links to legal resources. 4) South Australia links to legal resources. 5) New South Wales links to legal resources. 6) Western Australia links to legal resources. 7)	Northern Territory links to legal resources. 8)	Australian Capital Territory links to legal resources. 11)	Legal Resources in other countries. 12)	Law Blogs on all matters. 13)	RSS Feeds for Legal Topics. Need help to sort out a family law problem?